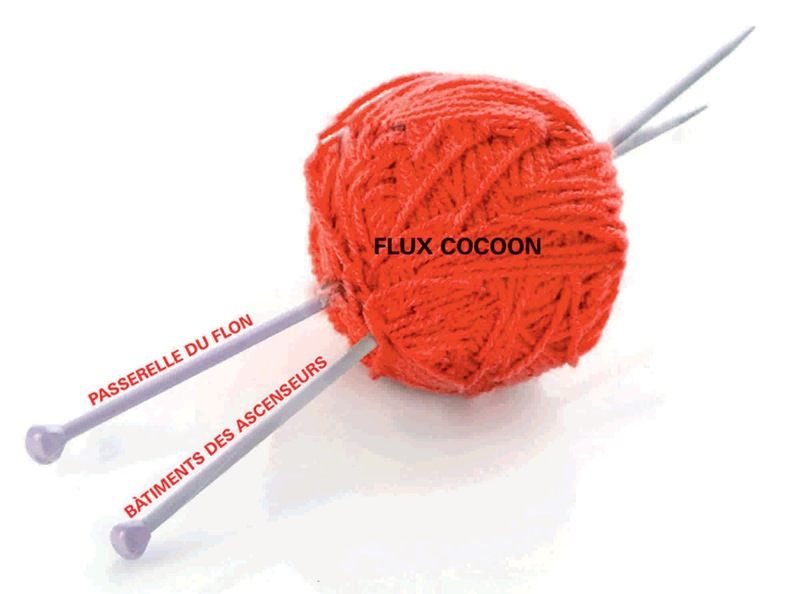 Installed in the heart of the city of Lausanne, Flux Cocoon is one of the winning projects of the the city’s first Light Festival: Lausanne Lumières, which will inaugurate on 23 November. 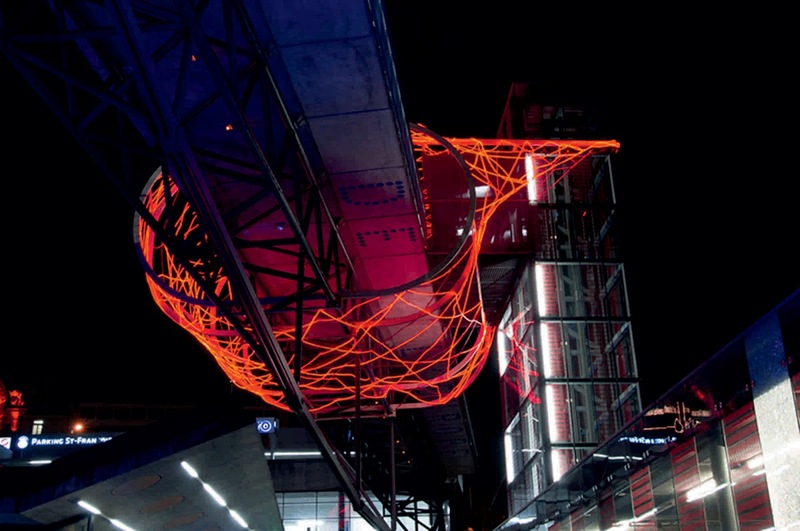 The project was inspired by its location. 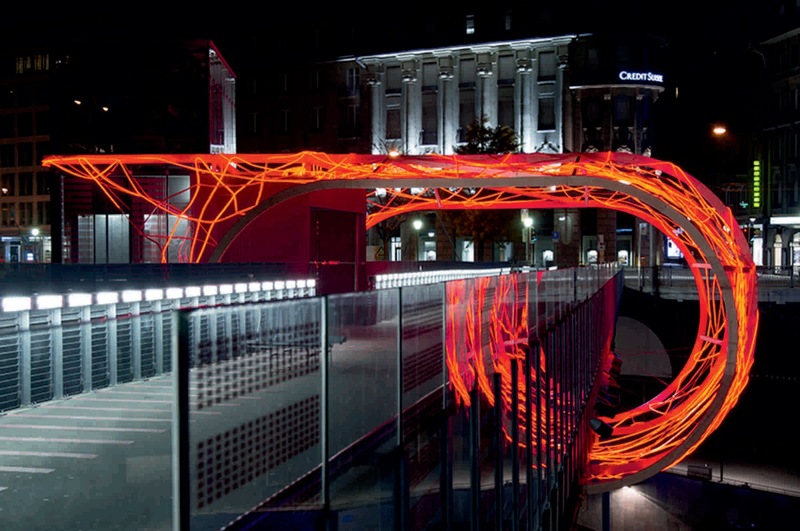 Situated at the crossing between vertical and horizontal pedestrian movements (flux). 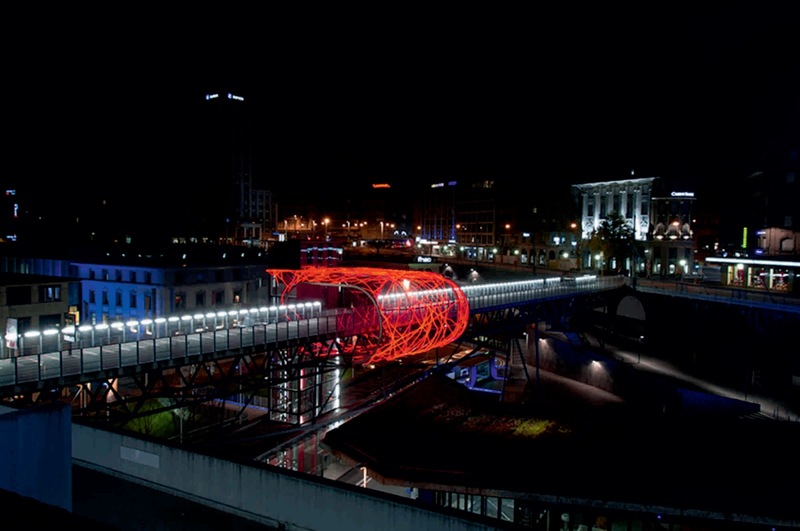 The project is an abstraction of the knot created by the crossing of each pedestrian’s virtual trace at this precise point in the Flon area. The Flon being the city’s major transportation hub. Lausanne’s topography resulted in creating an amazing cityplan with different ground floor levels; thus it was important for Allegory to create a project visible from a 360° point of view. 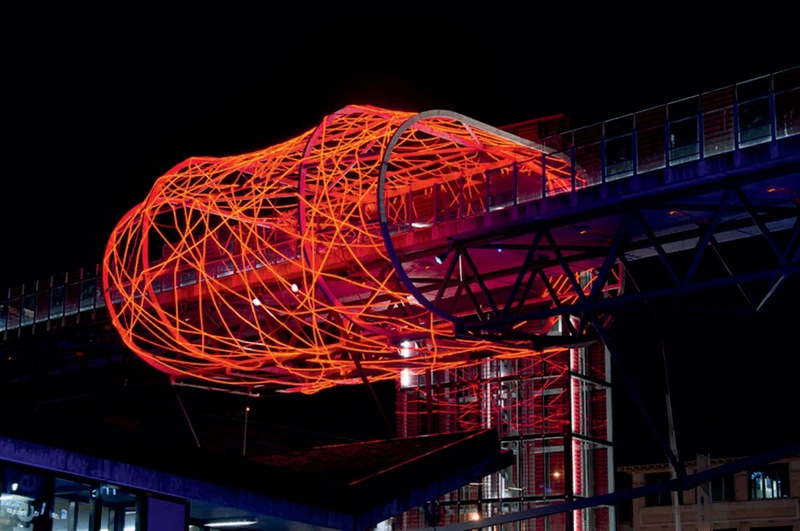 Installed in an extremely difficult context, Flux Cocoon is a temporary shelter over the pedestrian bridge and gripped on the vertical elevators’ building. 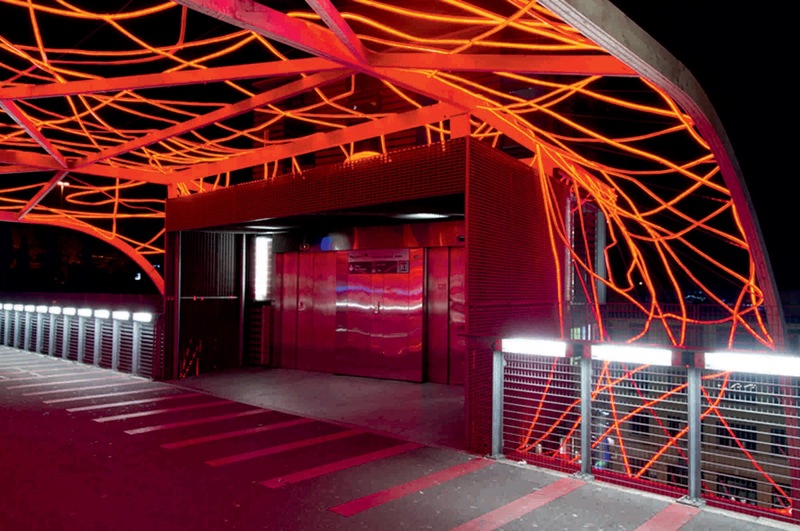 The project is a created with a primary wood structure and metal cables and 1100m of Red Led Neon Flex lights. 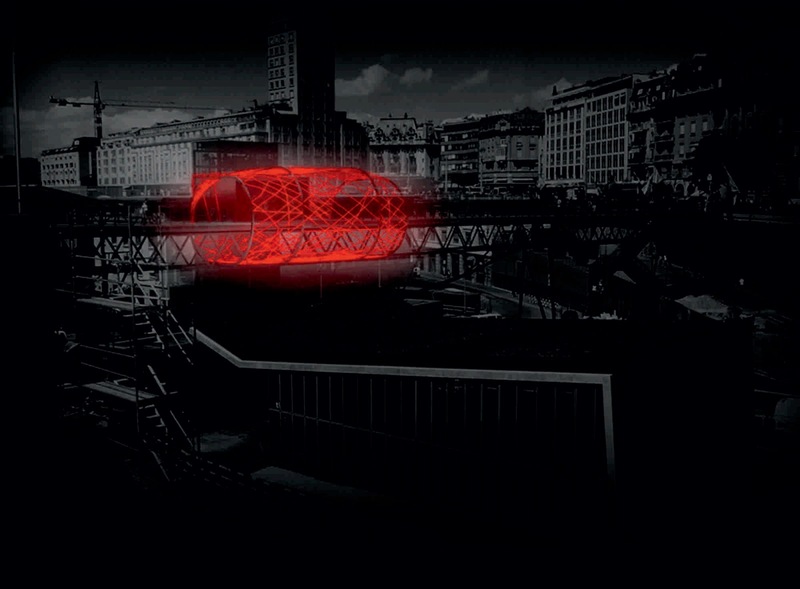 The structure sets foot on the existing bridge structure and connects itself to the vertical building containing the elevators.